Justice Samuel A. Alito Jr. on Friday stayed implementation of a restrictive abortion law until Thursday to allow the U.S. Supreme Court time to review case filings. The Louisiana law would have taken effect Monday if Alito had not issued the stay, report the Washington Post, the New York Times and the New Orleans Advocate. “This order does not reflect any view regarding the merits” of the case, Alito wrote. How Appealing links to additional coverage. Louisiana has filed an emergency petition asking the U.S. Supreme Court to delay implementation of the law until it has a chance to rule on a petition for certiorari. The case is getting attention because it could signal a shift in approach to abortion cases by the U.S. Supreme Court since the retirement of Justice Anthony M. Kennedy. The Louisiana law requires doctors who perform abortions in the state to hold “active admitting privileges” at a hospital within 30 miles of the clinic where they provide abortions. Louisiana has acknowledged its law is identical to a Texas law struck down by the U.S. Supreme Court in a 5-3 decision in June 2016. Kennedy was in the majority that struck down the Texas law. The New Orleans-based 5th U.S. Circuit Court of Appeals had said the facts in the Louisiana case “are remarkably different” than the Texas case. At most, 30 percent of women in Louisiana will be affected by the new law, “and even then not substantially,” the 5th Circuit said. An abortion clinic and two doctors challenging the law say its implementation will leave only one doctor performing abortions in the entire state. 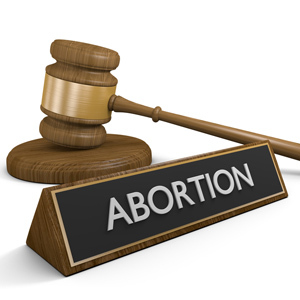 The 5th Circuit, however, had said only one doctor in the state was currently unable to obtain admission privileges and a district court had wrongly found that two other abortion doctors would not be performing abortions after the law is enacted. The 5th Circuit disagreed with district court findings that one abortion doctor would stop performing abortions if the law is enacted, and that the limited hospital privileges obtained by another doctor were insufficient under the law.